“The use of ground contact has particularly impressive results with movements and actions demanding great efforts. 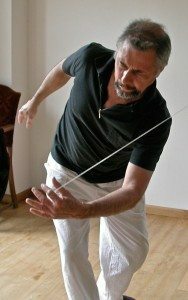 These can be performed with the minimum expenditure of energy by a very precise use of direction and angle of the lines of force. Eutony is mostly taught in a group setting. It is open to people of all ages and levels of fitness. Within a framework of proposals from the tutor, each person works at their own pace. No two classes are ever the same – they develop in an organic way, in tune with the needs and requests of the participants. 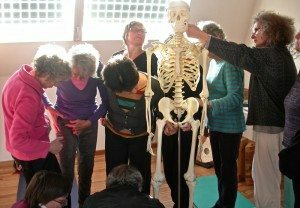 You may explore ways to use the support of the floor or of a chair to free your spine, and learn how to use your skeleton so as to sit, stand or walk with ease. You might investigate the shape of your shoulder joint, to understand how it is built, and to discover how to recover long lost mobility. 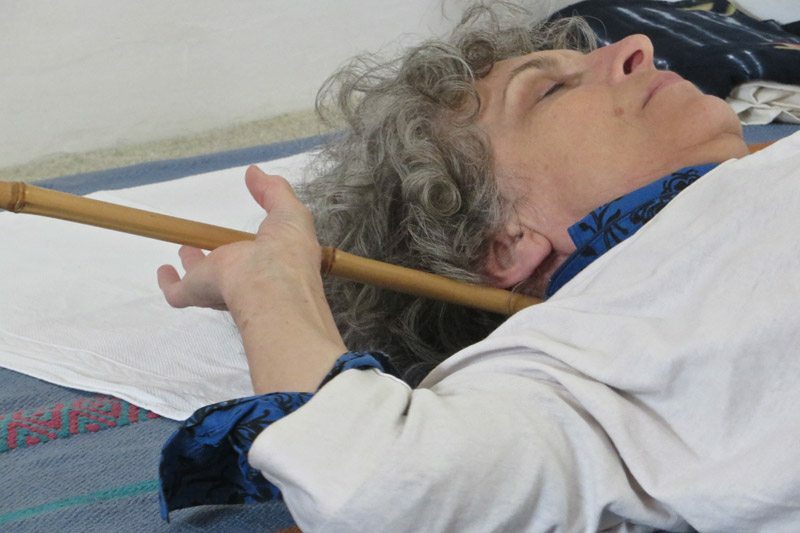 At a later stage, when you have started to develop a stronger presence in your own body, you’ll be invited to explore “conscious contact” with a partner through a bamboo stick. 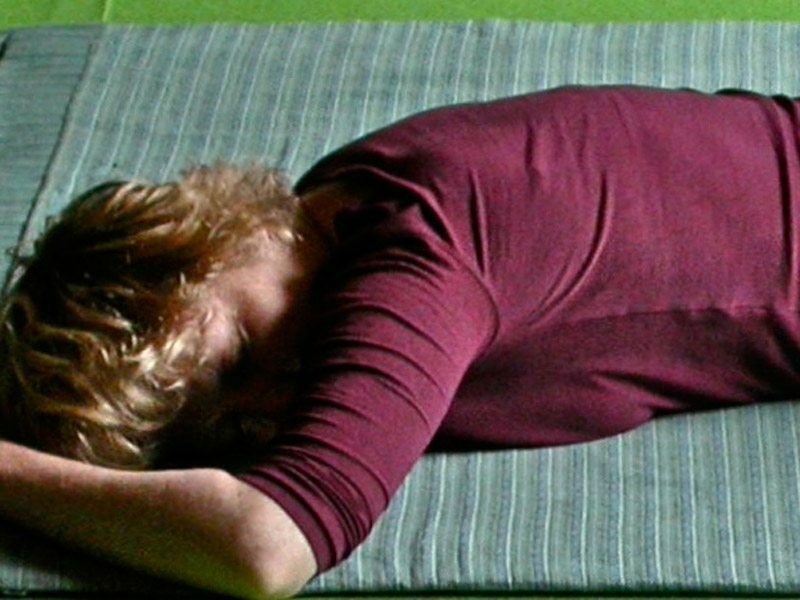 Most sessions include moments of leisurely stretches, where you take stock of how you are feeling, and follow through any movement need you may have. 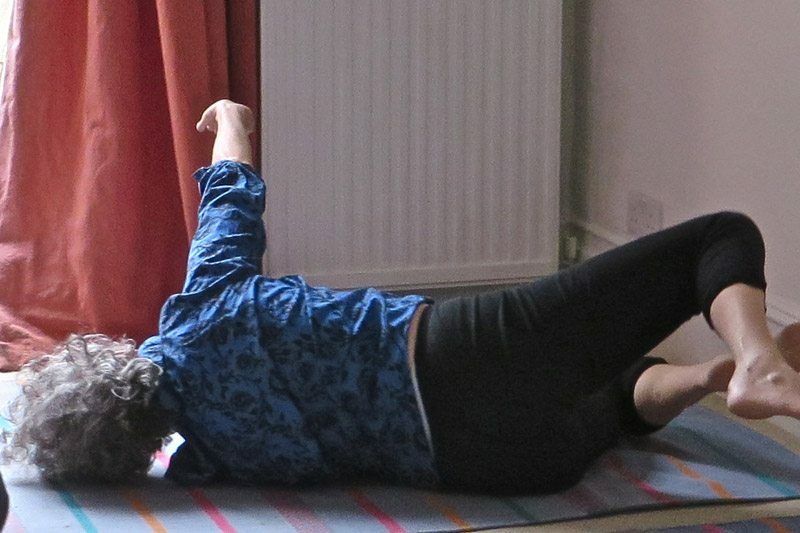 These free ‘rolling on the floor’ experiences may be for you the most restorative ones of the whole session – and so accessible that noticing and responding to what your body tells you becomes part of your daily life. 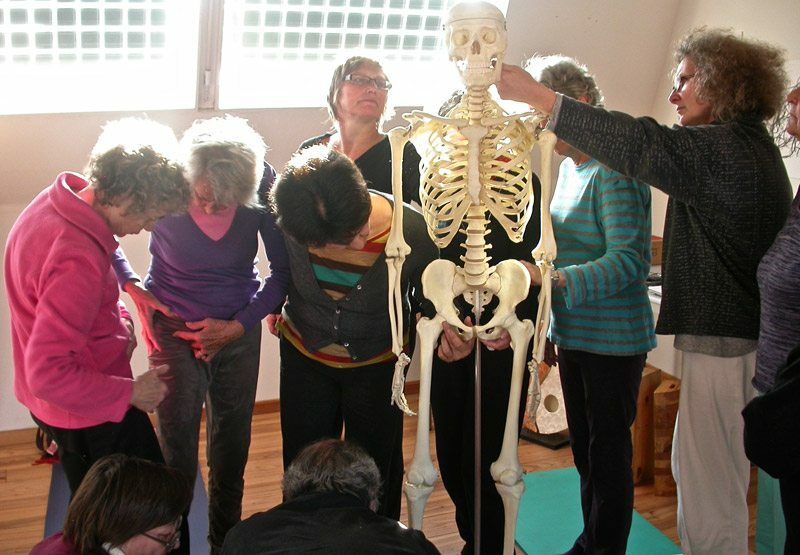 We will also consult anatomy books and models of skeletons together, to help you relate the inner experience of your body to its outer concrete reality. Form is a basic human need. This is explored in eutony through movement studies which emerge from free improvisation. Awareness of touch, with your clothing, with the floor, with the air, gives you a sense of your boundaries. It also regulates the tonus of your whole body. 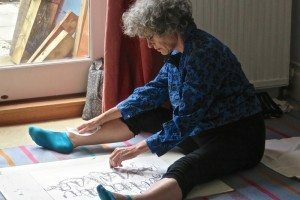 INDIVIDUAL SESSIONS can be arranged for those who wish to work on a particular aspect which they feel needs one to one time or who feel less comfortable in a group. These individual sessions may involve more ‘hands on’ support from the tutor, who will address herself to the whole person by conscious touch, through skin, muscles and bone structure. The student is always encouraged to stay attentive to what he or she feels. "Respect for the individual is fundamental. The way in which each person realises him or herself is unique."